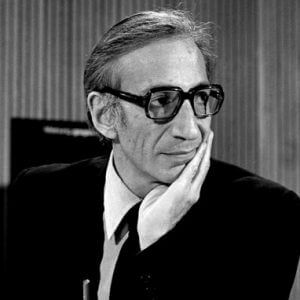 Ivan Illich (1926-2002) was born in Vienna, Austria, and grew up in Europe. A Croatian-Austrian philosopher, Roman Catholic priest, and polemical critic of the institutions of Western culture, he could appear as a stern, forbidding character, which he put down to “growing up in five languages, but without a mother tongue”. He studied histology and crystallography at the University of Florence, Italy, as well as theology and philosophy at the Pontifical Gregorian University in Rome, and medieval history in Salzburg. In 1950 he came to New York, where he worked for five years as a parish priest in an Irish-Puerto Rican neighborhood. Illich’s enthusiasm for those in his care led him to accept a job as Vice-Rector of the Catholic University of Puerto Rico in 1956. He spent four years travelling widely throughout South America on foot and by bus, studying immigration and alienating many of the local clergy by complaining of their readiness to impose American values on their congregations. In 1960 Illich moved to Cuernavaca, Mexico, which became his home. There he founded the Centro Intercultural de Documentación, a research center offering language courses to missionaries from North America. He spoke Italian, Spanish, French, and German fluently and later learned numerous other languages. He lectured at Fordham in the department of Political Science and took on many other scholarly posts. He is the author of more than fourteen books, including those addressing education (Deschooling Society, 1971), technological development (Tools For Conviviality, 1973), energy, transport and economic development (Energy And Equity, 1974), medicine (Medical Nemesis, 1974), work (The Right To Useful Unemployment And Its Professional Enemies, 1978); Shadow Work, 1981), and gender (Gender, 1982). He analyzed the corruption of institutions which, he said, ended up by performing the opposite of their original purpose. He was greatly influenced by J.C. Kumarappa, an Indian economist and adviser to Gandhi, most notably his book Economy of Permanence. Illich lived frugally but opened his doors to collaborators and drop-ins with great generosity, overseeing a practically non-stop educational process that was always celebratory, open-ended, and egalitarian. More than any other thinker of the twentieth century, Ivan Illich has challenged institutional bureaucracies and provided a strong voice for small communities and self-help initiatives.